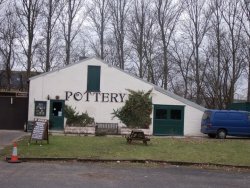 Aylesford Pottery is set in the beautiful, peaceful grounds of Aylesford Priory, an ancient religious house of the Order of Carmelites dating back to the 13th Century. Alan Parris and Mark Byles produce fine pottery to suit all tastes. Everything is created by hand, combining traditional methods with the occasional modern twist at their Kent showroom based at the historic Aylesford Priory where you are welcome to come and see them at work.